As the CBF turns 70 this year, we are grateful for you and the thousands of other individuals, hundreds of law firms and companies, and many other dedicated partners who have made it possible for the CBF to grow and thrive. In a video celebrating this milestone year, you can watch a few of these partners share in their own words the impact we have already made together and why it remains so important going forward. Each year, a growing number of people are forced to navigate the court system on their own, with the latest national statistics showing that in a shocking three out of four civil cases at least one party is unrepresented. One of the CBF’s top priorities over the years has been helping to make the courts more user-friendly and accessible for these growing numbers of people without lawyers. 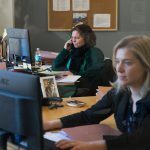 An important part of these efforts has been the CBF’s work with a number of other partners to establish and support a network of advice desks in the state and federal courts. 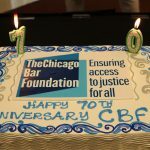 As the CBF celebrates our 70th Anniversary, we look back to the beginning of the CBF Anderson Fellowship and the tremendous impact this program has made on the 15 Fellows honored to date and the thousands of Chicagoans who benefitted from the high quality legal help these dedicated lawyers have provided. 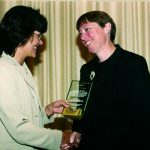 In 2003, then CBF President Kimball Anderson and his wife Karen set an extraordinary precedent for others in the legal community by creating the CBF Anderson Fellowship. The Fellowship provides significant loan repayment assistance to outstanding recent law school graduates and helps make it possible for them to pursue and remain in legal aid careers despite often overwhelming financial challenges. Since their original gift, the Andersons have continually renewed their support for this groundbreaking fellowship, which has inspired similar programs. Each year, the CBF awards one $50,000 fellowship (payable over 5 years) to help a newer lawyer repay their student loans, which can exceed their mortgage or rent payments. As we celebrate our nation’s birthday, the CBF is reflecting on the legislative advocacy work that has been an integral part of fulfilling our nation’s promise of equal access to justice for all. We look forward to highlighting a number of specific successful initiatives over the course of our 70th Anniversary year. As the CBF marks our 70th Anniversary this year, we also celebrate the 20th anniversary of one of the CBF’s main events. 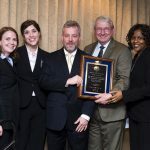 Next month we will host the 20th Annual CBA and CBF Pro Bono and Public Service Awards Luncheon, which has become a signature event in Chicago’s legal community to recognize and honor unsung heroes in our profession who have shown exemplary commitment to the ideals of equal access to justice. We have been privileged to honor some truly amazing lawyers over the years, and look forward to honoring another great group at this year’s Luncheon on July 12, 2018. 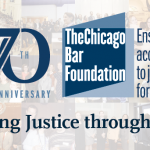 Today marks the 70th anniversary of The Chicago Bar Foundation. 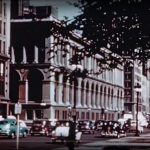 Since 1948, the CBF has been bringing Chicago’s legal community together to improve access to justice for people in need and make the legal system more fair and efficient for everyone. You have been an indispensible part of that history and that success and should take pride in all the good work you have made possible. 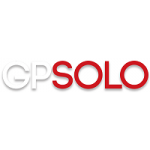 Together, we have provided enduring support for pro bono and legal aid in the Chicago area. We have addressed larger systemic issues like the explosion in unrepresented people in the courts. And we have advocated within the courts and at all levels of government for laws and policies that make the justice system more fair and accessible. In my last post, I identified the ways that lawyers will continue to have an integral (though evolving) role in ensuring access to justice. Our profession has the urgent responsibility to better focus on those core functions to make our services more efficient, accessible, and affordable. So how do we do that? 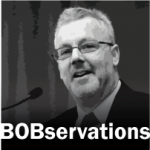 Along with the continuous improvement and adaptation that will be an integral part of any individual law practice, the bar, the courts and law schools need to adapt their roles as well. Congratulations to JEP attorney Ericka McFee for being named the 2018 American Immigration Lawyers Association (AILA) Pro Bono Champion for the Chicago Chapter! Ericka is a member of the May 2017 cohort of the Justice Entrepreneurs Project. She concentrates her practice on immigration matters of all kinds, from employment and family based immigration to removal defense and asylum. 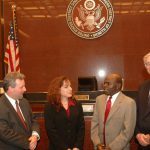 Prior to launching McFee Law Offices, P.C. 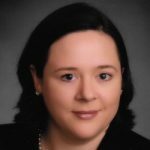 in 2016, she was an Associate Attorney at the Chicago office of Fragomen, Del Rey, Bernsen, and Loewy, LLP. 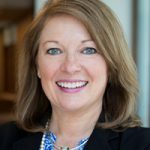 She is an active member of the Chicago chapter of AILA, the Chicago Bar Association, and the DuPage County Bar Association. She also dedicates her time to volunteering at a variety of Chicago area non-profit organizations, including the National Immigrant Justice Center, Chicago Volunteer Legal Services, the AILA Pro Bono Project, CARPLS, the Chicago Alliance Against Sexual Exploitation, World Relief DuPage/Aurora, and The Resurrection Project. We are proud to share that the CBF Justice Entrepreneurs Project was featured in the latest issue of the ABA’s Law Practice Magazine. In Meeting the Needs of the Middle Market, JEP Director Trevor Clarke focuses on how the JEP has grown and evolved in recent years to meet its goals of expanding access to affordable legal help for low- and moderate-income people by helping lawyers establish innovative, sustainable firms serving that population. The article discusses innovations the JEP employs, and how it shares lessons and resources to be a model for other incubators nationwide. Read the full article at Law Practice. The Chicago Bar Foundation is pleased to announce that more than 5,200 individuals contributed $1.55 million both records for the organization’s 2018 Investing in Justice Campaign. 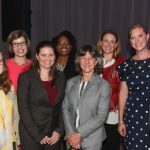 In the effort to raise awareness and much-needed funding for pro bono and legal aid services in the Chicago area, 153 law firms, corporate legal departments and other law-related organizations participated in this year’s Campaign. Chaired by Rebecca Eisner, the partner-in-charge of the Chicago office of Mayer Brown, the Investing in Justice Campaign each year engages thousands of individuals throughout Chicago’s legal community to come together and contribute generously to help ensure that everyone has access to necessary legal help.